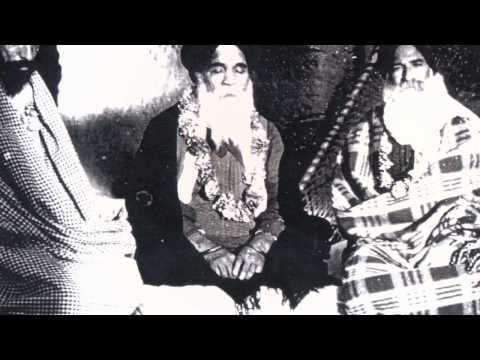 Bhai Randheer Singh Ji (1878-1961) was a freedom fighter, reformer, theologian, and hero of the Lahore conspiracy case, and first prisoner of Gurdwara Reform Movement. 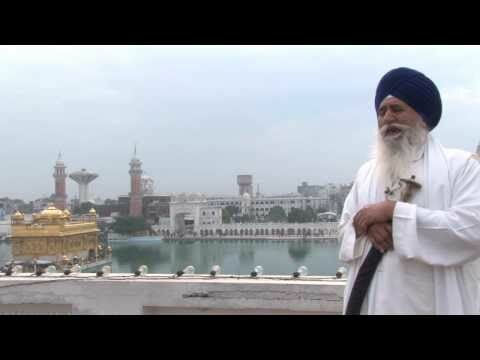 In the first two decades of the last century, when the cry of freedom was a distant dream, decadence and demoralization had corroded the foundations of religious, soil and political integrity of our people, Bhai Randheer Singh emerged as the most brilliant star of a new epoch, an apostle of the faith, who did not lecture or sermonize but poured his thoughts and experiences through stirring divine songs of Gurbani; a reformer, who did not change society by precepts but by example; a revolutionary, who threw away pride and position of an upper class family and plunged into the most daring revolt against British Imperialism at a time when even radical politicians did not dare to raise their little finger for freedom and liberty. 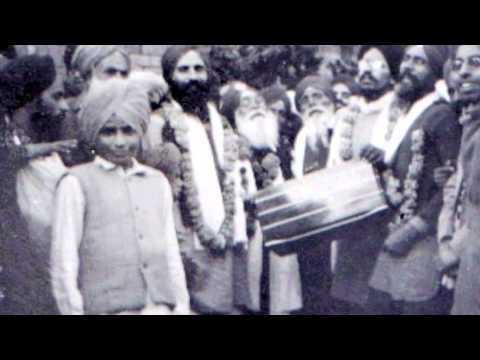 No one who met Bhai Randheer Singh could ever forget his dynamic personality. He had a red glowing face with apostolic beard, a vast forehead, deep set burning eyes which reminded one of Buddha in trance. Nothing escaped the magic of his glance, which at times sparkled with irony or compassion, and other times lost itself in ecstasy plunging imperiously to the very depth of consciousness. The matchless classical charm of his dress, his glittering sword, a quoit on his turban, gave him the historical appearance of the Kinght of Guru Gobind Singh who lived and died for Him. For more than than fifteen years (May 1915 to October 1930) Bhai Randheer Singh was imprisoned for his involvement in the Ghadr (Freedom Revolt) movement. After suffering a terrible and torturous prison life, and upon his release, Bhai Sahib was bestowed with the great honours in the form of Hukamnamas and Siropas by all (then) four Takhats. History will bear witness to the fact the bones and the blood of these real freedom fighters fertilized the arid soil of their country’s political field. It is a pity that those who have reaped the fruits of their labours and those who wear the crown of gold, unearthed from the valley of death of these heroes, have deliberately, consciously and callously forgotten those who carried the cross of freedom to the peak of liberty. But history the greatest and ultimate judge will not forget them. « How many marriages did Guru Gobind Singh Ji have?